The FDA has stringent guidelines for sterile drug products that are produced by aseptic processing requiring them to meet cGMP practices throughout processing. Cleanrooms carry various classifications depending on the product that’s being manufactured within that space. A cleanroom is a positively pressurized space designed to ensure that the particulates within the room meet requirements based on the classification of the room. ISO 14644-1: Covers the classification of air cleanliness in cleanrooms and associated controlled environments exclusively in terms of concentration of airborne particles. ISO 14644-2: Specifies requirements for periodic testing of a cleanroom or clean zone to prove its continued compliance with ISO 14644-1 for the designated classification of airborne particulate cleanliness. SETRA BLOG: How can employees contaminate a cleanroom? Many design parameters need to be considered when designing a new cleanroom; airflow, air changes per hour, the product manufactured in the space and many more. One of the more critical considerations on room operation is the calibration of the differential pressure transducers used in conjunction with the HVAC system to control these environments. Differential pressure transducers play a pivotal role in the integrity of the cleanroom. These sensors perform measurements of HEPA filter cleanliness, airflow, and proper static pressure between the cleanroom and the adjacent space. Within the clean room space the pressure measurements taken are extremely low, often controlled to below 0.1”WC. Cleanrooms are primarily designed to maintain a sterile environment, but also have a focus on energy efficiency. 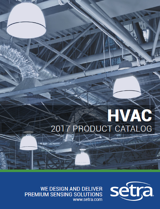 The HVAC control system uses the feedback from differential pressure transducers to maintain control of the clean room at very low pressure levels, allowing fans to run less and save the conditioned air within the room. A critical component to maintaining accurate positive pressure within a cleanroom is the proper calibration of the differential pressure transducers used in the HVAC system of the space. Pharmaceutical manufacturers have millions of dollars invested in research and finished product within a cleanroom. 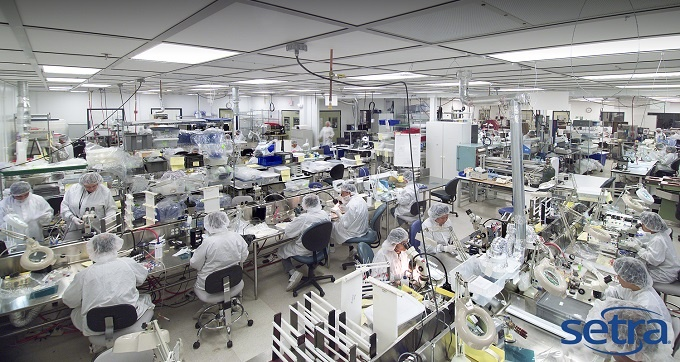 In order to protect this investment, the manufactures follow documented standard operating procedures to validate and, if needed, calibrate the differential pressure sensors used to comply with FDA guidelines. Portable pressure calibrators are the preferred device of pharmaceutical manufacturers; these facilities have hundreds of sensors throughout their building. The choice of a pressure calibrator can be a difficult choice to make. The 2 critical considerations are the reference standard as well as the pressure generation system of the calibrator. Most manufactures of low pressure calibrators do not use properly ranged pressure references. Instead, these high range sensors attempt to achieve high accuracy at low pressures through intricate microprocessor correction resulting in higher levels of noise and instability limiting the ultimate accuracy available. Did you know? More and more hospital pharmacies are moving towards cleanroom standards? CLICK HERE to learn more.